Sudents from West Creek Academy Elementary School sing and sign the song "God bless the U.S.A" in front of their peers and parents. A ceremony was held to honor local heroes Friday Morning. Eddy Martinez/The Signal. 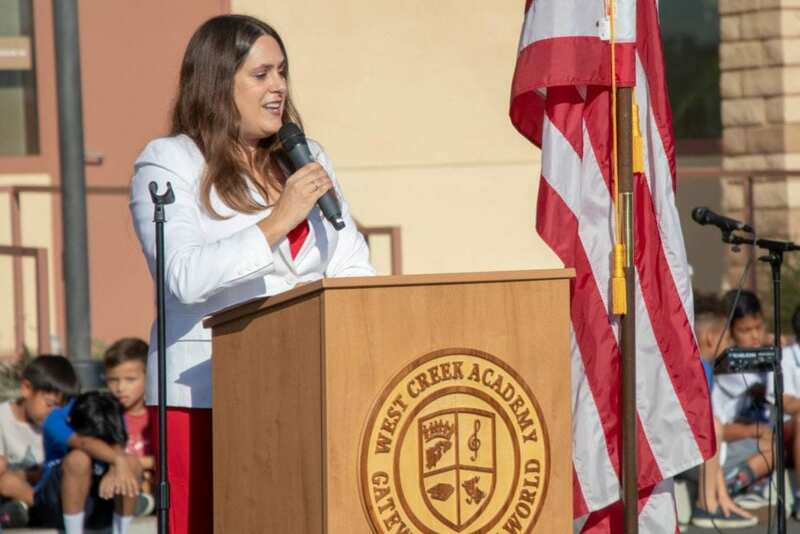 West Creek Academy students honored their parents during the school’s Patriots Day celebration assembly, with about 1,000 students joining in patriotic songs Friday. 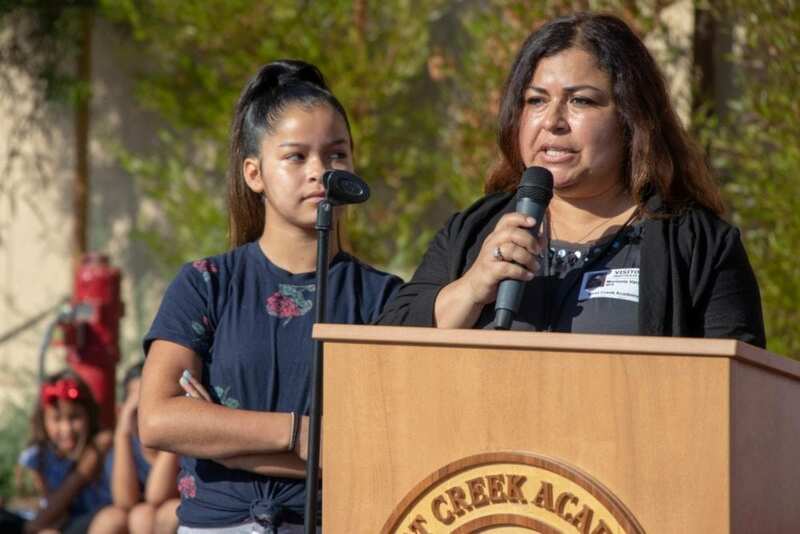 The idea of the morning gathering was to recognize the members of the school and community who have made an impact locally and nationally, said Sue Bett, principal of West Creek Academy. Principal Sue Bett introduces a variety of parents who serve the country in many different ways. West Creek Academy Elementary School held a ceremony honoring these local heroes Friday Morning. Eddy Martinez/The Signal. 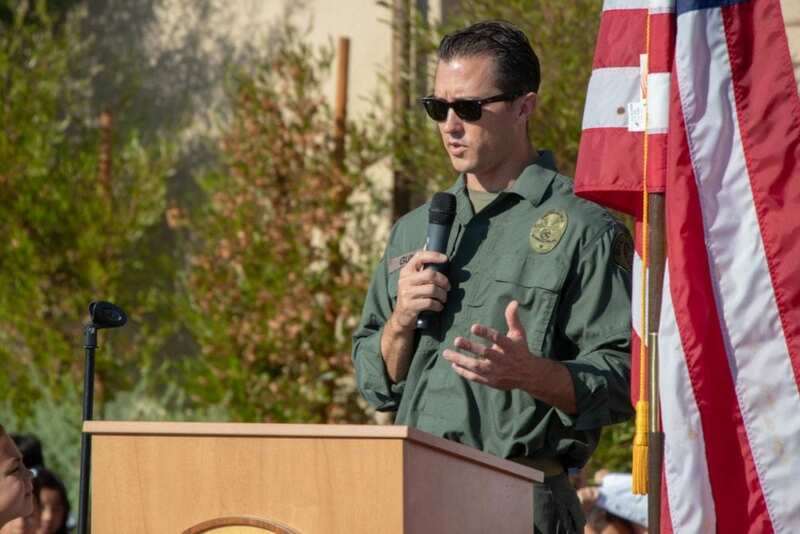 First responders, active military, veterans and even an immigration judge spoke to the students, sharing their stories and reminding them how important education is, Bett said. 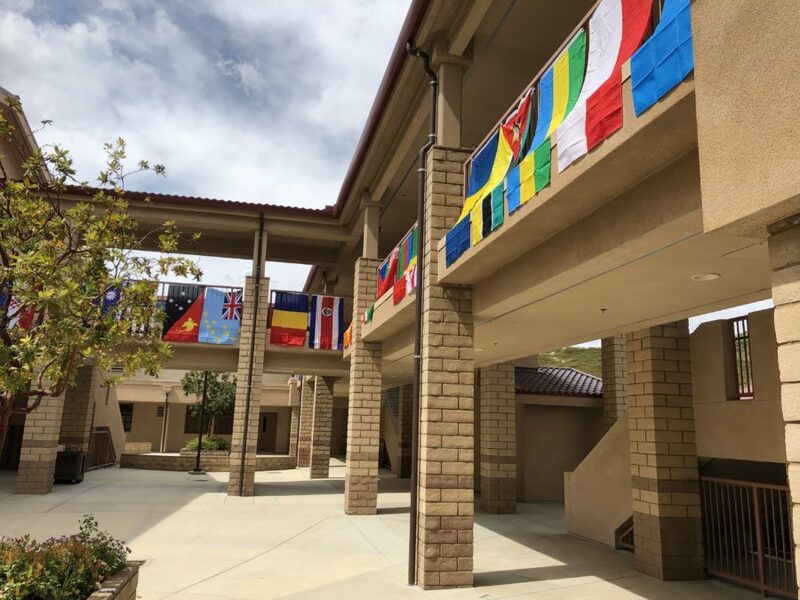 “The students got to hear their stories and to learn from it,” she said. Marisela Perez, former US Army soldier and current Police Investigator, speaks in front of the Students of West Creek Academy Elementary School. A ceremony was held to honor local heroes Friday Morning. Eddy Martinez/The Signal. Second graders learned the pledge of allegiance and other patriotic songs in sign language and performed at the assembly, Bett said. One student sang the “Star Spangled Banner” to begin the celebration. Twenty parents were recognized for their efforts to make the community and country a better place, Bett said. Ryan Gunn, police officer from the Glendale Police Department, speaks in front of the Students of West Creek Academy Elementary School. A ceremony was held to honor local heroes Friday Morning. Eddy Martinez/The Signal.